This species is accepted, and its native range is Borneo (Gunung Kinabalu). Local in montane forest on G Mulu. Elsewhere on Kinabalu and the Crocker Range in Sabah. Endemic to Borneo. 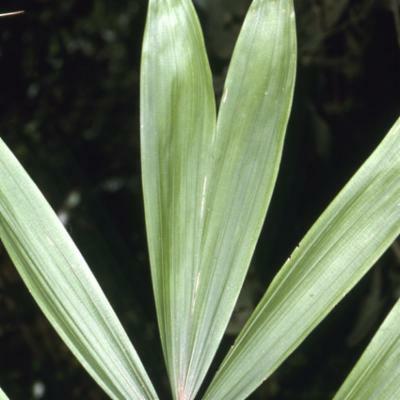 Clustering, moderate short-stemmed montane rattan with stems to 2 m only, very rarely longer; stem without sheaths to 10 mm diam., with sheaths to 20 mm diam., internodes short, generally not more than about 10 cm long. Sheaths dull green, covered in copious brown indumentum and abundant large flat horizontal spines varying from 5-30 mm, with hairy margins, the spines usually scattered but sometimes partially whorled; knee poorly developed; ocrea very conspicuous to 15cm, spiny, brown tomentose, and tattering. Flagellum usually absent, rarely longer than 1 m when present. 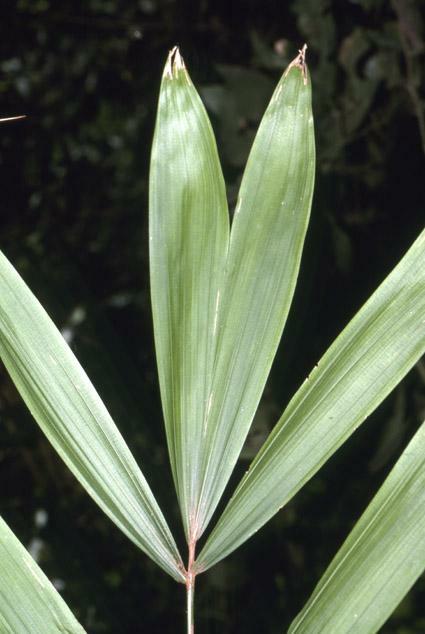 Leaf ecirrate to 1 m including the robust petiole to 30 cm; petiole armed with distant long spines to 4 cm; leaflets ± regularly arranged, up to 10 on each side of the rachis, apical pair joined for c. 2/3 their length, longest leaflets to 35 x 5 cm, bearing short spinules along the margins and a tuft of orange-brown hairs on the undersurface by the rachis, transverse veinlets conspicuous; young leaves pinkish. Inflorescences generally shorter than the leaves, but in robust long stemmed individuals up to 2 m long; partial inflorescences up to c. 8, generally crowded near the inflorescence tip; male rachillae to 50 x 1.5 mm, female to 70 x 2.5 mm. Mature fruit ovoid, c. 8 x 7 mm with a beak 2x1 mm, and covered in 18 vertical rows of yellowish-brown scales with darker margins. Seed 6x5x4 mm; endosperm homogeneous. Seedling leaf not known (Fig. 75).